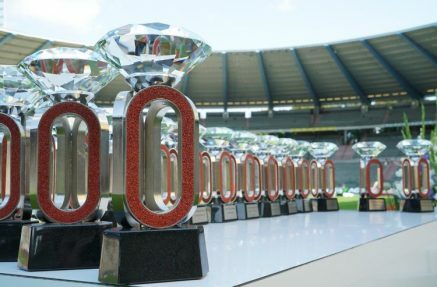 31st August 2018 – After twelve stops on the IAAF Diamond League circuit, the finals took place on consecutive nights in Zurich and Brussels. Athletes accumulated points throughout the season to qualify for these races and the chance to take the overall title. In Zurich, Hellen Obiri (KEN) retained her ‘Diamond’ after an enthralling final lap battle with European Champion Sifan Hassan. The two threw everything they had at each other, but Hellen’s speed and strength proved the greater to maintain her status as the world No. 1. The winning time of 14:38.39 was irrelevant but a last 400m of 58 seconds with the last 200 being 27 seconds was impressive. In his first full season as a professional Fred Kerley (USA) showed that he has made the transition very smoothly. After wins in Rome and Birmingham he came out on top again here winning in a time of 44.80 seconds. European Champion Matthew Hudson-Smith (GBR) ran sub 45 seconds again to take third place in 44.95 seconds. After a life changing few weeks triple European Champion Dina Asher-Smith (GBR) was just edged into second place by World Indoor Champion Murielle Ahoure on this occasion. However, she returned an hour later the spoil the home crowds party by overhauling the Swiss team on the final leg to take the British girls to victory. NACAC Champion Shamier Little (USA) had another battle with fellow American and Olympic Champion Dalilah Muhammad. Shamier finished strong to take second position in 54.21 seconds. Bethwel Birgen (KEN) was ninth in the men’s 1500m after a good pacemaking job by training partner Vincent Kibet (KEN). In Brussels Jenna Prandini (USA) was fifth in the 200m with a time of 22.96 seconds. Winny Chebet (KEN) was sixth in the 1500m in 4:03.37.